In 1999 the GB retail energy market was open to competition for residential customers. In 2008 Ofgem began a series of regulatory interventions, notably a nondiscrimination condition and subsequently a restriction to four “simple tariffs”. This reversed its previous policy of minimal intervention. This paper explores the reasons for this change of policy, drawing upon the responses of economists and others to Ofgem and Competition and Market Authority (CMA) consultations. It argues that key factors were a significant increase in energy prices before 2008, the reduced involvement of economists in senior roles at Ofgem, and systematic changes in Government policy and the statutory regulatory framework. Finally, the paper examines what the CMA Energy Market Investigation had to say about this in 2016. The CMA found that these were inappropriate regulatory interventions, and laid part of the blame on arrangements for governance of the regulatory framework. Stephen Littlechild: Former UK Director General of Electricity Supply (1989–98). By 1999, the electricity and natural gas sector in Great Britain was open to retail competition, including to all residential customers. Over the next decade, the energy regulator Ofgem (Office of Gas and Electricity Markets) removed an initial transitional price cap, addressed a variety of concerns, and reported positively on the evolution of competition. Then in 2008 Ofgem began a series of regulatory interventions—notably a non-discrimination condition and then imposing a restriction to four “simple tariffs”—that reversed its previous policy of minimal intervention in the market. In 2014 Ofgem referred the energy market for investigation by the Competition and Markets Authority (CMA). In its 2016 Final Report the CMA criticised Ofgem’s two regulatory interventions but made recommendations for different interventions. There was a demand for more substantial action. In 2018 an Act of Parliament required Ofgem to introduce a widespread residential energy tariff cap. Retail energy policy has thus reversed. Britain is not alone here. Other jurisdictions including Australia, New Zealand and New York are also taking or contemplating potentially radical interventions. The opening of regulated monopoly markets to competition spurred numerous theoretical analyses of price discrimination, including in markets with switching costs. For early contributions see (e.g.) Borenstein (1985), Klemperer (1987a, b, 1995), Brennan (1990, 2007), Armstrong and Vickers (1993), Borts (1998). There has been increasing study of competitive retail energy markets and their successes and limitations, both in GB e.g. Green and McDaniel (1998), Otero and Waddams Price (2001), Littlechild (2002), Giulietti et al. (2005), Hviid and Price (2012), Waddams Price and Zhu (2016), and elsewhere e.g. Joskow (2005), Littlechild (2006), Simshauser (2018), Simshauser and Whish-Wilson (2017). Some papers have focused on customers’ limitations e.g. Wilson and Waddams Price (2010), Kleit et al. (2012), Giulietti et al. (2014), Hortascu et al. (2017). Others have explored regulatory policy e.g. Joskow (2000), Littlechild (2003, 2014a, 2016, 2018b), Waddams Price (2018). The present paper focuses on retail regulatory policy in Britain, and more precisely the changes and reasons for changes over the second decade compared to the first. The main body of the paper summarises Ofgem’s regulatory interventions after 2008 and the debates about them. Many regulatory economists including myself felt strongly about these policies. The paper draws upon their responses to Ofgem and CMA consultations. The paper conjectures possible factors that might have led Ofgem to change its previous policy. Finally, it examines what the CMA had to say about these interventions and about the regulatory framework that led to what the CMA considered were inappropriate interventions. The prospective privatisation, restructuring and introduction of wholesale competition into the GB nationalised electricity sector raised the question of how the potential benefits of wholesale competition would be transferred to customers. As an alternative to regulating retail prices, the possibility of creating retail competition, via competing private retailers with access to local distribution networks, was mooted. (Beesley and Littlechild 1983) Privatisation arrangements provided for opening the electricity market to all retail customers on a phased basis over the eight years 1990–1998. By the end of that period, the privatised natural gas market, too, was wholly open to retail competition. The structure of the energy market evolved over the years following privatisation, particularly around the time of full market opening. Between 1998 and 2002 the 14 incumbent electricity distribution companies, each of which originally had had a regional monopoly, consolidated with some of the generating companies into five vertically integrated retail supply businesses. (Their network businesses were operated and regulated separately.) By 2002 these five electricity suppliers had in aggregate taken nearly 40% of the residential gas market from the incumbent and former monopoly gas supplier British Gas. Meanwhile British Gas (also trading as Centrica) had acquired generation capacity and become the largest residential electricity supplier, with 22% of the residential electricity market. These six suppliers, often referred to as the Big 6, between them accounted for 99 per cent of residential customers. There were occasional new entrants into the residential retail market, many of them transient, and never supplying more than about 1 per cent of the market in aggregate before 2009. Transitional price caps had been put in place when the residential markets first opened. Ofgem (2002) abolished them because competition was now effective “across all social groups and all methods of payment”. Competition could deliver more benefits for customers than regulation. Indeed, regulation could jeopardise competition, especially regulation of prices to particular customer groups. Ofgem proposed to focus instead on the use of competition and consumer law powers. It outlined a “substantial programme of work to remove continuing obstacles to competition (for example, reviewing the transfer process, tackling misselling, reforming rules for objecting to switches, improving competition for dynamically teleswitched customers, as well as enforcing competition law)”. (Ofgem 2003) It also sought to improve customer information and billing standards. But it imposed essentially no restrictions on what suppliers could offer or charge. From 2002 to 2007, Ofgem issued further retail market reports fairly regularly, noting the continued development of competition. For example, Ofgem (2007) reported vigorous price competition for all customers; innovation by suppliers in terms of fixed and capped price deals, cheaper online deals and green tariffs; improving customer service; and customer switching rates at their highest in four years. There had been price increases, but on 16 January 2008, responding to Government and public concerns, Ofgem issued a press release headed “Market is sound—Ofgem assures Chancellor”. In contrast, on 21 February 2008 Ofgem issued another press release headed “Ofgem launches probe into energy supply markets”. This was said to be “in response to public concern about whether the market is working effectively”. Ofgem’s Energy Supply Probe Initial Findings in October 2008 noted that household energy bills had more than doubled since 2004. (Ofgem 2008, para 1.1, p 5) But competition was developing well, suppliers competed actively, and there was no evidence of a cartel, although no “competitive fringe” offering a competitive threat to the Big 6 had yet emerged. The level of customer engagement was among the highest of any retail energy market in the world, and higher than in other retail services in the UK. But active consumers were in a minority, and switching might not yet be exerting sufficient pressure on suppliers’ prices. many price differentials between payment methods did not appear to have a cost justification, particularly for those customers who paid by Standard Credit (quarterly in arrears by cash or cheque on receipt of bill) and for some customers paying in advance by prepayment meter (PPM), relative to customers who paid by Direct Debit (to their bank accounts). The report analysed and quantified the impact of competition on various groups of customers, especially prepayment meter customers and various vulnerable customers (older, low income and rural). It concluded that many customers were not effectively engaged in the market and that competition was not developing fast enough. It therefore proposed a package of measures to “accelerate the transition” to effective competitive markets. These measures included actions to promote more active customer engagement and to help consumers make well-informed choices (e.g. via more and better information), and to reduce barriers to entry and expansion (e.g. via suppliers publishing segmental accounts and by improving market liquidity). To address its concern about what it now called “unfair price differentials”, Ofgem proposed a requirement that differences in charges for different payment methods should be cost-reflective. Ofgem was “also considering placing a further new condition in the licences of the Big 6 suppliers that would either impose a prohibition on undue price discrimination or introduce a form of relative price control”. This condition would “seek to ensure that price differentials are objectively justified by cost differences”. Ofgem’s new thinking was controversial, both in the energy community and within Ofgem. It was not that Ofgem was arguing that introducing competition could reduce the welfare of some customers (cf Brennan 1990, 2007): Ofgem’s declared aim was to accelerate the transition to competition. The finding of price differentials was not new: previous Ofgem reviews had reported this, but had explained how competition was nonetheless protecting all groups of customers.2 The concern with vulnerable customers was not new: Ofgem had previously drawn up a Social Action Plan “to ensure efficiency, choice and fairness in the provision of gas and electricity to disadvantaged customers” (Offer/Ofgas 1999); it had explained various additional steps that it was taking3; and it now described Ofgem’s “long history of involvement in these issues”, including a lengthy list of current initiatives to help vulnerable customers. (Ofgem 2008, paras 2.34, 9.18) Nor was the possibility of imposing a non-discrimination condition new—Ofgem had repeatedly considered this in assessing whether or how to continue the initial transitional price caps. Ofgem put the Probe Initial Findings out to consultation. Even before this was complete, suppliers began to adjust their prices to meet the prospective requirements. By December 2008 “Ofgem’s energy market probe is on track to remove more than £500 million in unfair premiums from suppliers’ tariffs, but Ofgem wants speedier action”.7 In January 2009 Ofgem (2009a) set out a range of proposed formulations for the licence conditions. Appendix 2 (this point was not made in the main text) indicated that “1.7 … the erosion of price differentials may be through a rebalancing of prices rather than by a straightforward decrease in price for the most impacted customers”. With some qualifications, consultation respondents broadly accepted—and many welcomed—Ofgem’s proposals for encouraging customer engagement, providing better information and reducing barriers to competition. In March, the Gas and Electricity Markets Authority GEMA (the governing body of Ofgem) held a special meeting to discuss and agree its policy on retail regulation. Professor Yarrow, the economist Non-Executive Director on GEMA, did not support the no undue discrimination condition, and resigned. In April, Ofgem (2009b, c, d) issued for consultation its two final proposals. The requirement that differences in terms and conditions for different payment methods should be cost-reflective was intended to be a permanent condition, as a means of better enforcing a European Directive to that effect. Suppliers, by now, were more concerned to clarify the Guidelines. Consumer groups were generally supportive of the proposals, though several basically wanted lower energy prices in general, and for prepayment and standard credit customers in particular. Energy Action Scotland (2009b) noted Ofgem’s repeated acknowledgement that some vulnerable customers would be negatively affected. It calculated that “more than 560,000 households already in fuel poverty [would] suffer electricity price increases …[and] almost 430,000 fuel poor households may see gas bills increase”. Furthermore, “up to 2.5 million households classed as ‘vulnerable’ may suffer increased electricity costs and a further 1.9 million may see gas bills increase”. In response to this last point, Ofgem (2009f, para 6.10) later noted that (in round terms) 40% of fuel poor households paid by direct debit but 60% paid by standard credit or prepayment, so more such households would benefit than would lose. Regulatory economists did not accept that the impact of the non-discrimination clause on competition was ambiguous or that this policy would be in the interests of customers generally or of vulnerable customers. Professor Waddams, then a member of the Competition Commission, reinforced her earlier submission, saying that the proposed clause “is likely to stifle competition”.12 Professor Sir John Vickers, recently Director General of Fair Trading (whom Ofgem had cited), was equally forthright about this “bad policy”.13 Professor Yarrow, former Non-Executive Director of GEMA, said there was “almost a consensus among economists” that the proposals would have “harmful consequences for consumers and for competition”.14 Summing up, Ofgem (2009e, para 1.8) noted that “three academics” were strongly opposed to the licence condition, but its Final Impact Assessment was essentially unchanged. Ofgem (2010) said that “We are also committed to a thorough review of the impact of the measures introduced as a result of the Probe, before SLC 25A terminates at the end of July 2012.” Such a thorough review would presumably evaluate the contrasting predictions of the effect of the non-discrimination conditions in light of the accumulating empirical evidence. In the event, this review did not happen. But Green (2012) noted “a large increase in the level of the average bill at almost exactly the same time that companies started to reduce their cross-region differences”. He suggested that, although further analysis was needed, the policy may have had some unintended consequences. Hviid and Waddams Price (2012) commented that “because of the volatility of the wholesale electricity market, it is difficult to identify the counterfactual and so assess the direct effect of the non-discrimination clauses on price levels”. They cite Ofgem data to the effect that, from June 2008 to December 2010, dual fuel gross margins (charges net of wholesale costs and VAT) increased from £45 to £145 and net margins (net of retail operating costs) increased from (minus) £75 to (plus) £15: “although they are not conclusive, the increased margins suggest that they may reflect aggregate price rises (relative to costs) rather than the price falls which the regulator claimed”. A caveat is in order here (as others have noted). Household energy prices doubled over the period 2004 to 2008, largely reflecting increases in wholesale costs. There is some evidence that retail prices nonetheless lagged wholesale costs.15 This could have yielded artificially low retail prices, margins and profits in 2008. So the higher retail prices, margins and profits since then may to some extent have been a return to competitive normality (and/or a consequence of subsequently falling wholesale prices) rather than an indication of how far the non-discrimination condition restricted competition and increased prices and profits (though the condition may have affected the speed or nature of adjustment). Hviid and Waddams Price (2012) looked in more detail at the implications for vulnerable customers of the two different non-discrimination conditions.16 They argued that low income customers paying by standard credit could benefit from non-discrimination by payment type, provided that rivalry was maintained among direct debit customers. However, this rivalry was likely to be undermined by non-discrimination with respect to area, which was likely to raise all prices, and which they noted seemed to have occurred. They commented further that the exemptions allowed under the non-discrimination condition had led to significant increases in discounts for online tariffs, but that vulnerable groups generally have less access to broadband, hence would have benefited less from this. Waddams Price and Zhu (2016) found that “the nature of competition in the industry has changed, with less effective rivalry between the regional incumbents and large regional competitors following the intervention; companies seem to have ‘retreated’ to their home regions, leaving a market where pricing behaviour resembles more closely a duopoly between British Gas and the regional incumbent”. They found in particular that the average difference between the incumbent supplier’s price and the best-priced non-incumbent roughly halved after 2009. Here again, the non-discrimination condition was not the only factor: Ofgem also put pressure on the major suppliers to cease doorstep selling, which was (until then) the most cost-effective means of attracting customers, and particularly effective in reaching customers that might not otherwise engage in the market. A couple of the major suppliers began to reduce their door-to-door sales force around 2009. However, it was not until July 2011 that the first major supplier finally abandoned doorstep selling completely, by which time the decline in switching had been underway for over two years. In sum, several factors determined the nature of competition and the path of prices following the introduction of the non-discrimination condition. However, the contrast between Ofgem’s aspirations and the subsequent outcome is evident. Ofgem proclaimed that it was removing “unfair differentials” which would save about £500 m for some customers. (It also envisaged that suppliers’ revenue would remain constant, and that other customers would pay higher prices to the extent of about £500 m, but its press releases did not highlight this). In the event, differentials did indeed reduce but suppliers’ revenue seems to have increased by about £1 billion. Not all of this was due to the non-discrimination condition, but several other impairments of competition can be attributed to it. It is not clear that vulnerable customers, for whose benefit the condition was allegedly introduced, were in general or on average better off. Some or many may have been worse off. Indeed, the very mixed nature of Ofgem’s own estimates of distributional impacts (in one case cited above, 60% of fuel poor households would be better off but 40% worse off) make this sound more like a defensive line to take than a reason for adopting the policy in the first place. In presenting its September 2009 reforms, Ofgem said that it would take at least three years for them to take effect. However, little over a year later, in November 2010, it noted a 38% increase in net retail profit margins and announced its intention to review again the effectiveness of the retail energy market. Ofgem’s analysis centred on the following argument about customer engagement. 3.4. We regard consumer activity as a key driver of competition among suppliers and to stimulate new entry. The greater the number of engaged consumers, the greater the competitive pressure on suppliers to make efforts to retain them. We have found a number of market features that lower consumer engagement, the most significant being complex tariff information and the prevalence of sticky customers. Ofgem concluded that “further radical actions are required”. To facilitate new entry it proposed steps to increase liquidity in the wholesale market. It also proposed to strengthen the Probe remedies and to improve reporting transparency. But in its most significant innovation, Ofgem proposed measures “to make it far easier for domestic customers to compare prices and get a better deal”. These measures focused particularly on what Ofgem called standard evergreen tariffs (now called standard variable tariffs or default tariffs), on which most residential customers were (and still are) supplied. Standard tariffs comprise a monthly or quarterly fixed charge (commonly called a standing charge, or in the US a customer charge) plus a unit or usage rate (in pence per kWh) applied to the amount of energy consumed.19 This tariff is variable in that it can be modified at the supplier’s discretion, subject to a minimum period of notice (30 days). Evergreen means that the tariff is for a period of indefinite length: there is no specified termination date as there is for a fixed-price fixed-term contract. Ofgem argued that the solution to the problem was to simplify tariffs. 3.15. We intend to address confusion in the domestic market by a proposal to restrict the number of tariffs for standard evergreen products from each supplier to only one per payment method. We also propose to standardise the format of these tariffs across suppliers, with suppliers allowed to compete on a single ‘per unit’ price. Consumers would then be able to tell at a glance whether they can save money either by switching supplier or by moving to a new deal. This would be a major reform impacting the 75% of customers currently on standard evergreen products. “All suppliers limited to one evergreen product per payment method. Compulsory standardised element set annually by Ofgem and identified separately on consumers’ bills. Standardised element designed to cover pass through costs, such as Transmission & Distribution charges and some environmental and social charges. All consumers in each region to have the same standardised element. Respondents to Ofgem’s consultation generally agreed that many customers had difficulty with complexity and that it was important to assist them to engage effectively in the market. There was some sympathy for simplifying tariffs and providing more effective information. But most suppliers considered that Ofgem’s proposed simplifications went too far, and would limit competition and innovation.21 Consumer groups too were sceptical: they felt that more needed to be done for consumers generally and for fuel poor, low income and vulnerable customers, but they were apprehensive about these particular proposals. One found the proposals an indictment of Ofgem’s energy Probe proposals; another suggested a regulated tariff for specified categories of the most vulnerable customers. CCP economists initially offered qualified support for Ofgem’s proposal. They encouraged the move towards tariff simplification while warning that, in providing more opportunity to segment the market, it could lead to more detrimental outcomes for disengaged customers even while it improved outcomes for those who engaged. (Ball et al. 2011) They wondered why the proposal did not go further, and prohibit fixed-term tariffs. They urged Ofgem to undertake field experiments with actual customers and different types of intervention before committing to universal changes. In December 2011, Ofgem confirmed its RMR proposals, with two additional information measures, but warned that there could be more intervention.22 Waterson (2012) welcomed the proposals because customer search costs appeared high. But he warned of unintended consequences (facilitating cartel-like behaviour), and made his welcome conditional on creating more competition in the wholesale supply market to facilitate entry of new retail suppliers. CCP economists, after further consideration, had “become more pessimistic” about the net effect of the proposals” and now argued against the core proposal. (Hviid et al. 2012) Ofgem’s “heavy intervention” was likely to dampen competition.23 They reported evidence that better information for customers was a necessary but not sufficient condition for more engagement. They reported “anecdotal evidence … that some consumers don’t change supplier because they feel it would commit them to an endless treadmill of checking the market and reswitching”. Research showed that a substantial minority of switchers ended up with a worse deal. (Wilson and Waddams Price 2010) A better understanding of psychological factors was a priority, and “the provision of simplified tariffs alone is very unlikely to have the desired effect”. My response in January 2012 referred to this proposal as Ofgem’s Procrustean Bed.24 (Littlechild 2012a) I challenged the need for regulatory action. Discounts for those who shopped around were of the order of 10–15%, as they always had been, and it was a remarkable achievement for retail competition to ensure that even customers who made no attempt to change supplier received a price that was within 10 to 15% of the very best price in the market. The reliability of Ofgem’s consultants’ customer research, and the claim that a common standing charge would lead to far more customer engagement, were both questionable. Uniform standing charges would be inconsistent with the flexibility and innovation associated with smart metering, would preclude much-valued tariffs with zero standing charge, would increase costs and risks to suppliers, would increase regulatory costs, and would make setting energy prices once again a regulatory and/or political decision. There was a long pause while Ofgem considered submissions on its RMR proposals. There was much political debate. The Labour Party proposed that energy companies should be required to put all over-75 s on their cheapest tariff. The Prime Minister said that “we will be legislating so that energy companies have to give the lowest tariff to their customers”. He apparently meant that each supplier would have to give its customers the lowest price in the market. On 26 October 2012, Ofgem changed tack on both outstanding policies. It announced that it would not seek to renew the non-discrimination condition because “The aim of the RMR package of proposals is to empower consumers so the threat of switching places an effective constraint on supplier pricing and other behaviour.” (Ofgem 2012a) Nevertheless, it gave a strong warning to suppliers not to resume such “unjustified pricing practices”. There was still no regulatory review of the impact of the condition. On the same day, Ofgem announced that it would maintain the customer information parts of its RMR proposals (including the requirement to provide a price comparison guide and tariff information label). But it abandoned its key proposal to set a uniform standing charge, having “listened to concerns” and recognised some “practical difficulties”, though it did not explain what these concerns and difficulties were. Instead, Ofgem now proposed a Simple Tariffs policy. Each supplier would be limited to a maximum of 4 tariffs per fuel per payment method.25 All tariffs had to have a simple two-part structure, i.e. one standing charge and one unit rate. The standing charge could be zero, but the unit rate could no longer vary with the level of consumption (i.e. declining block tariffs were prohibited). Discounts were only allowed if expressed in pounds, not as percentages. Suppliers could no longer keep customers on “dead” tariffs (tariffs no longer available to prospective new customers), and had to move such customers to that supplier’s cheapest “live” or open tariff. Debate on this policy and its implementation continued well into 2013 (despite the political impatience noted below). In August 2013, Ofgem announced that the simple tariff conditions would be in place by end 2013 and most other provisions by March 2014. With some modifications (e.g. to prohibit all but two kinds of discount) these tariff restrictions generally came into effect on 1 January 2014, although most suppliers had adjusted their range of tariffs earlier. Given the four tariff limit, suppliers chose to keep their most popular and profitable tariff types and phase out their minority preference tariffs. They substantially withdrew green tariffs. Suppliers were less innovative: they could only introduce a new product if they withdrew one of their four allowed tariffs, but existing tariffs were tried and tested, whereas new tariffs were necessarily more risky and liable to have a low take-up in early years. The Big 6 suppliers soon limited themselves to one Standard Variable Tariff and two or three fixed-price tariffs for different periods ahead, mostly between one and two years. Supplier SSE had earlier introduced a new tariff that, for several months, price comparison websites deemed “the best offer in the market”. That tariff was now prohibited because the discount was greater in the first year than in the second. Introductory and “cash-back” discounts that some suppliers used were now banned. Prompt payment discounts, and all but two other types of discounts, were disallowed too. Some supermarkets and other organisations had previously competed in the retail energy market by offering products on a “white label” basis, whereby an energy supplier provides the product and backup service under the supermarket’s name. Previously these white label products could be tailored to the supermarket’s specification. Now, Ofgem proposed that they should count against the supplier’s limit of four products, hence the supermarket could only offer the same product as the supplier itself offered. Some supermarkets considered entering the market on their own account, in competition with energy suppliers, instead of using a white label. Until then, they could have competed by offering discounts on grocery bills, but the new rules prohibited that. Not surprisingly, given the extent, detail and severity of Ofgem’s restrictions, there were disputes about whether particular products were compliant with the rules. There were also applications for derogations in exceptional cases. Ofgem granted several of these.28 This raised the question whether it was sensible to prohibit such variations and innovations in the first place. In July 2014 the CMA put out an Issues Statement, which included “initial theories on what might be adversely affecting competition”. (CMA 2014) For the first time, “regulatory interventions”—specifically the non-discrimination licence condition and the simple tariffs conditions—were mentioned as a potential source of “weak incentives to compete”. The CMA invited comments. In response, Professor Yarrow and I separately suggested that the CMA first examine why Ofgem had changed course in 2008 and thereafter. Why had it implemented these controversial regulatory interventions that seemed to have had adverse effects? Yarrow (2014a) suggested that the change in direction was associated with a change in Ofgem personnel. The regulatory shift correlates precisely with a board-level change in Ofgem personnel and responsibilities on 1 January 2008, but “because different people were in charge” is not in itself a satisfactory answer to the question. … looking across the various regulated sectors in the UK, changes in senior regulatory personnel occur on a relatively frequent basis and it is by no means common to find U-turns as clear cut as the Ofgem 2008 episode. This suggests that there were other factors at work. The reality is that strong, upward cost pressures tend to place strains on the institutional structures of markets that are partly governed by a regulator who has powers to do things in those markets when stuff happens. In a system based on independent regulation, it is a large part of the job of regulators to protect and sustain these institutional structures in the face of the pressures and strains. The evidence … indicates that strong upward cost pressures in GB energy markets started to occur significantly before 2008 and, in the face of these pressures, Ofgem/GEMA performed its delegated tasks well up until 31 December 2007. From then on it didn’t. The boundaries that independent regulators are supposed to defend were abandoned and Ofgem/GEMA started pointing the finger of blame for the higher prices that energy consumers were facing …. The narrative changed: the market was (somehow) failing, suppliers were (“possibly”, in vague and unspecified ways) tacitly coordinating prices, prices were ‘unfair’, hobnail boots were needed, consumers were depicted as victims. My own explanation for the change of approach was along similar lines: the increase in energy prices, the reduced involvement of economists in senior roles at Ofgem, and systematic changes in Government policy and the statutory regulatory framework. (Littlechild 2014b) The following three sections briefly summarise and illustrate these three factors. 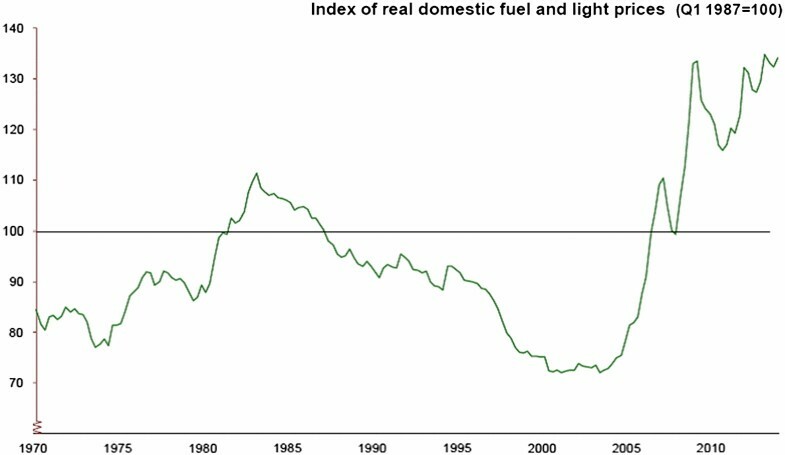 Figure 1 shows that, from about the mid-1980s to the early 2000s, the UK enjoyed steadily falling domestic energy prices (in real terms). But by 2008 energy prices nearly doubled in real terms. In the subsequent five years they fell but increased again. 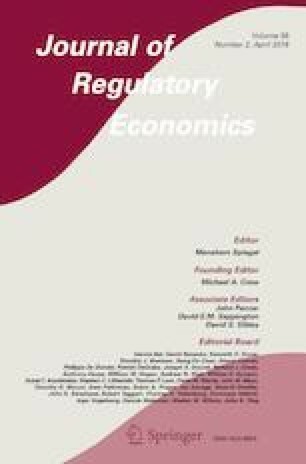 The theoretical and empirical literature on public choice and economic regulation suggest that regulators and governments feel the need to Do Something when there is concern about prices. The point has been made in the present context.33 There were certainly obvious political pressures on Ofgem—for example, from the Select Committee on Business and Enterprise, which (not satisfied with Ofgem’s 16 January 2008 reassurance) announced on 5 February its own investigation into Energy Prices, Fuel Poverty and Ofgem. Until early 2008, Ofgem explained that cost and price increases were not the fault of the retail suppliers.34 There is no reason to think that the causal factors suddenly changed. But thereafter Ofgem left this question more open, redirected attention to relative rather than absolute prices, and intervened to reduce unfair price differentials in general—even though, of the concerns then voiced about the energy market, price increases, fuel poverty and prepayment meter surcharges were frequently mentioned but the in-area versus out-of-area price differentials do not seem to feature at all (Littlechild 2016 pp 26–30). Yarrow referred to board-level changes at Ofgem. To put this in broader context, in 2013 the retiring Chairman of GEMA/Ofgem looked back over the ten years that he and the Chief Executive (also then retiring) had served, and paid tribute to the latter’s “energetic, expert and transformational role in leading Ofgem from a body that was essentially an economic regulator ten years ago to its current and far more multi-dimensional purpose and activities.” (Ofgem 2013, Yarrow (2014), p 5) One reflection of this was a significant reduction in the number of economists on the GEMA Board. From Ofgem’s inception in January 1999 until September 2003, four of the most senior posts on the GEMA Board were filled by economists (trained at graduate level), viz Chair and Chief Executive (at that time combined), Head of Markets Division (responsible for retail markets) and one Non-Executive Director. In 2003 the economist Chair/Chief Executive was replaced by two non-economists. In January 2008 the economist Head of Markets was replaced by a non-economist. For the next five years none of these three key Executive Director posts was held by an economist. When Professor Yarrow resigned in March 2009 he was not replaced by another economist Non-Executive Director until November 2012. From January 2009 until October 2010 another Executive Director was an economist, but for the two-year period from November 2010 to October 2012 there were no economists at all on the GEMA board. More generally, from 1999 to 2008, all Non-Executive Directors of GEMA had been from the world of business and finance, plus one professor of economics. In January 2009 this changed when the Minister appointed four new Non-Executive Directors. Only one was from business and finance. Another was a scientist. The other two were from consumer bodies who had been critics of Ofgem’s pre-2008 policy and supporters of the Probe and its remedies. In 2011 a Government review of Ofgem drew attention to imbalances in non-executive expertise—notably the absence of economic regulation expertise since 2008 but also the absence of social and consumer expertise before that.35 In contrast, as of 1 October 2018, the Chair, Chief Executive, Head of Markets and one Non-Executive Director are once again all trained economists. In addition there is now a Chief Economist on the Board (see below). This is not to argue that trained economists are a necessary or sufficient condition for making good regulatory decisions. But they should be better able and more interested to assess the economic issues and evidence, and are likely to give more weight to economic reasoning in coming to decisions on policy, than non-economists. Specifically, in 2008/9 economists would have been more familiar with varieties of price differentials and discrimination in competitive markets; less likely to introduce the term “unfair price differentials” and to see their replacement by “price differentials objectively justified by cost differences” as a means of “accelerating the transition” to more competitive markets; more alert to the risks and limitations of non-discrimination conditions; and arguably more reluctant to countenance measures leading to significant income redistribution whereby (e.g.) 60% of fuel poor customers would benefit but 40% would be worse off. In parallel with its RMR Findings and Initial Proposals on 21 March 2011, Ofgem issued a paper on what behavioural economics could say about energy consumers. (Ofgem 2011b). It explained how this had informed its RMR approach, and how biases affected energy consumer decision-making. It seems questionable whether behavioural economics would have driven policy as dramatically had Ofgem still been headed by Directors trained in conventional economics. An alternative scenario is that in 2011–13, economist Directors would have been less likely to see an increased number and variety of tariffs as a deterioration in competition; more likely to have associated the decline in switching with the reduction in price differentials; and more sensitive to the reduction in customer choice, innovation and competition associated with the “Procrustean Bed” and Simple Tariff policies (and the regulatory vulnerability of the former).36 Policy would have been different. Further evidence for this is that independent regulatory economists expressed their views strongly to Ofgem and the CMA. Board level appointments at GEMA are made by the Secretary of State, after consulting the Chair. Could changes in governments, ministers, energy policy and Ofgem’s statutory responsibilities have contributed to Ofgem’s change in policy? There were four distinct phases of Government over this period. Conservative Governments (May 1979 to April 1997) privatised the gas and electricity industries, and created the gas and electricity regulators as independent bodies, responsible to Parliament not to ministers. They gave regulators relatively simple statutory duties, primarily to promote competition and, subject to this, to protect the interests of consumers.37 These Conservative Governments largely rejected the concept of an energy policy. On 3 October 2008 the Labour Government created a new Department of Energy and Climate Change (DECC), headed by Ed Miliband, who had a more interventionist perspective. The minutes of GEMA’s meeting of 20 November 2008 (following Ofgem’s Probe Initial Findings on 6 October 2008) refer to “the parallel interest within Government in securing rapid and effective responses to the issues identified in the Ofgem study and the remedies proposed.” On 9 December 2008 (while Ofgem was consulting on the non-discrimination condition) Mr Miliband’s “first major speech on UK energy policy” emphasised his concern about vulnerable customers, said that the unfair price differentials could not continue, that the Government would work with Ofgem, and that if necessary the Government itself would act. (Miliband 2008) In October 2009 (just after Ofgem had implemented the non-discrimination condition) the Government welcomed Ofgem’s measures, stating that “the regulator should be active in protecting consumers and their interests, whether through the promotion of effective competition or through other, more direct, interventions”. (DECC 2009) In November 2009 the Bill that became the Energy Act 2010 redefined the interests of electricity consumers to include their interests in reduced emissions of greenhouse gases; provided that, before promoting competition, the Secretary of State and Ofgem should consider whether there were other approaches that would better protect the interests of consumers; enabled the Government to direct suppliers to implement schemes for reducing fuel poverty; and gave the Government power to adjust charges if it considered that some customers of a supplier were treated less favourably than others. The Conservative-Liberal Democrat Coalition Government (May 2010–May 2015) had an Energy Market Reform policy to radically increase the use of renewable energy. It expected energy costs to rise, and saw strong regulation as part of the process for avoiding unnecessarily high prices. It committed to review Ofgem “to ensure that the regulatory framework … would continue to deliver against our strategic objectives” and to deliver “confidence that the regulator’s decisions would be aligned with the Government’s strategic policy framework”. Its Energy Act 2013 required Ofgem to further the delivery of the Government’s policy outcomes, to explain each year whether it had succeeded in this, and to say how it would do better next year. Ofgem’s RMR Findings and initial proposals, announced on 21 March 2011, were discussed in advance with the Coalition Government. The Secretary of State issued a statement of support. In September 2011 the Secretary of State proposed half a dozen new measures to protect customers. The Government had agreed in principle with energy suppliers (apparently independently of Ofgem) to provide information about their best tariffs, an arrangement that was firmed up in April 2012. In October 2012 the Secretary of State strongly supported Ofgem’s revised RMR proposals (simple tariffs), describing them as “the sort of measures I have been urging for some time”. The Prime Minister’s office said that the Government “had been working with them [Ofgem] for some time”. The Government also announced that it would take powers to require suppliers to do precisely the things that Ofgem proposed to implement via licence amendment. Its policy objective was to encourage retail competition through greater engagement of customers, but its urgent aim was to keep energy prices down, time was of the essence and a new Act would speed up the process. It also referred to “uncertainty in the retail market due partly to the length of time Ofgem has been considering reform”, and “uncertainty … created by a long RMR process”. The Energy Act 2013 gave the Government the promised power to impose simple tariffs on suppliers. It also gave the Government power to designate a strategy and policy statement, with GEMA/Ofgem having a duty to best further delivery of the specified policy outcomes. The CMA published its Final Report in June 2016. (CMA 2016) The Assessment Framework, the Assessment itself and Ofgem’s reference had all drawn the CMA’s attention to concerns about weak customer response, vertical integration, barriers to entry and expansion, continuing incumbency advantage and market segmentation, and possible tacit collusion. To the surprise of many observers and critics, the CMA found that only the first of these had an Adverse Effect on Competition (AEC), the others did not. The CMA did, however, find that aspects of Ofgem’s regulatory policies since 2008 constituted an AEC, and furthermore that governance of the regulatory framework was itself an AEC. On the non-discrimination licence condition SLC25A, the CMA found that “when Ofgem prohibited suppliers from offering out-of-area discounts for new customers, the effect was to increase prices for out-of-area customers and reduce the strength of competition”.40 There was no need for a remedy because Ofgem had already removed that licence condition. The regulatory requirement for financial reporting. The CMA observed that “Ofgem has expressed concerns with regard to its current objectives and duties, noting that its competition duty had been progressively downrated relative to other duties over the last ten years”. (para 18.11) It quoted different views on the impact of this.43 It focused on the additional clause in the Energy Act 2010, to the effect that, before promoting competition, Ofgem should look first at other ways of protecting customers. It opined that this “is likely to constrain Ofgem’s ability to promote competition or lead to confusion as to its role in promoting competition”. (para 18.23) It recommended that this paragraph be deleted from Ofgem’s statutory duties. The CMA considered that “a more authoritative and independent assessment of the energy markets is necessary”. To provide this, the CMA recommended that Ofgem publish annually a State of the Market Report46 and create a new unit (e.g. an Office of the Chief Economist) within Ofgem to do this. Ofgem accepted the CMA’s recommendations. It immediately removed the problematic Simple Tariffs restrictions. It set up an Office of the Chief Economist, which has already produced two informative State of the Energy Market reports. In November 2016 it issued a draft RFI [Request For Information] about more detailed financial reporting by large companies, with an intention to have licence amendments in place by November 2017. As of November 2018, nothing more seems to have become of this. The Government was less convinced by the CMA’s recommendations for reform. It “agreed with the CMA, that clarity about the government’s work with Ofgem is desirable. … The right approach, however, may not always be a detailed joint statement, so we will agree this with Ofgem on a case-by-case basis.” (BEIS 2018) Nor was it convinced of the need to change Ofgem’s statutory duties: “the current objective already places sufficient emphasis on competition”. And there was no need for any new mechanism to address disagreements: “Ofgem is already able to comment on Government policy”. Why did Ofgem change its regulatory stance from 2008 to 2016? During the mid- to late-2000s, there were significant increases in energy prices, a lack of public understanding of the reasons for this, public, political and government pressure on Ofgem to Do Something about this, an increasing wish of government to intervene in the market and to guide Ofgem, changes in Ofgem’s statutory duties to that end, corresponding changes in Ofgem board personnel, the removal of economists from senior positions—all these put increasing strain on Ofgem’s previous policy on retail regulation. In 2008 the dam burst. Ofgem began to intervene significantly. The CMA concluded—consistent with the arguments of regulatory economists—that neither of Ofgem’s two subsequent interventions (the non-discrimination condition and simple tariffs) were in the interests of competition or customers. The CMA did not suggest that these policies were, nonetheless, in the interests of the subset of vulnerable customers to which Ofgem was increasingly required to pay greater heed. Nor was there ever agreement among customer and fuel poverty groups or other respondents that either of these policies was an effective way to advance the interests of vulnerable customers. There is much evidence to indicate increasing Government involvement with Ofgem, as a matter of policy and practice. But the evidence does not suggest that either of these two particular Ofgem policies was designed and proposed by Government. Rather, Government wanted Ofgem do Do Something—and to be seen to be Doing Something—in the face of increasing retail energy prices. During the post-privatisation transitions to competition, in energy and in other utility markets, it was convenient to have sector regulators with “powers to do things”. But in most other competitive markets such powers are held by a general competition authority. Such an authority is not held responsible for the state of the market at any time, and hence is able to investigate on a more considered basis “when stuff happens” such as price increases. (Investigations of petrol/gasoline markets are often cited as a model.) Transferring powers from an energy sector regulator to the competition authority would better protect the competitive retail energy market from undue public and political pressures. There is of course a tension between such a policy and the view that sector regulators and competition authorities are an instrument and extension of government policy, and a means of dealing quickly with economic and political pressures. Finally, transferring responsibility from a sector regulator to a competition authority would not in itself preclude controversial economic analysis by the competition authority or significant government intervention—witness the recent decisions to introduce energy tariff caps in GB and Australia. Further scrutiny of such economic analysis is therefore required. Were Ofgem’s “unfair price differentials” an indication that the market was or was not competitive, or that unequal prices may not be socially acceptable? The CMA basically agreed with Ofgem’s diagnosis that there was a competition problem as a result of “weak customer response”, but considered that Ofgem chose the wrong remedies in and after 2008, and proposed different remedies of its own. In turn, the Government, too, accepted the diagnosis of a competition problem but found the CMA majority’s remedies inadequate and imposed its own remedy in the form of the widespread tariff cap. A further paper drawing on previous analyses (Littlechild 2018a, b, c) will question the Ofgem/CMA analysis of this market and hence the need for competition remedies in the first place. “As of 31 January 2016, there were 28 million domestic electricity customers and 23 million domestic gas customers. There were 20 million dual fuel customers, 8 million single fuel electricity customers and 3 million single fuel gas customers.” CMA (2016), para 10. E.g. “Companies that are not delivering on price or service have been punished by significant customer losses and churn. Suppliers who have charged uncompetitive prices in the regions where they used to have a monopoly have seen higher than average market share losses. … Where the incumbent has retained market share it is usually because they have offered competitive prices.” (Ofgem 2007, p 1). A section on Prepayment tariffs, fuel poverty, and vulnerable customers concluded with the sentence “8.28 … We must ensure that the benefits of competition are extended to all customers, including PPM customers, vulnerable customers, and the fuel poor.” (Ofgem 2007). In June 1999 Ofgem had pointed out that “knowing that a reduction in prices in the more competitive parts of the market would require it to cut prices in the less competitive parts of the markets, a PES [Public Electricity Supplier] might be less inclined to cut prices”. In October 1999 Ofgem had noted that “a marker tariff in a portion of the market that is relatively unimportant to a company linked to a target tariff in a more important sector might discourage competitive behaviour towards marker tariff customers”. In 2001 Ofgem had rejected relative price controls because tying the prices of a “target” group of inactive customers to the more competitive prices of a more active “marker” group of customers could provide an incentive to raise prices to the marker group instead of lowering them to the target group. (Littlechild 2014b, p. 7, also Otero and Waddams Price 2001). Bonbright (1961) has a chapter on fairness, including one section entitled “The Babel of confusion as to what constitutes ‘fairness’”. During my tenure (1989–98) at Ofgem’s predecessor body Offer, I banned the use of the word fair. In contrast, a decade later, the Ofgem CEO writes “The concept of fairness is now commonly used with regard to energy” and notes that “Ofgem’s recent proposal for a cap on retail energy prices … would ensure that customers would pay a fair price for their energy”. Forward to Deller and Waddams Price (2018). Ofgem press release R 35 16 December 2008. The breakdown of the total was: higher prices in-area than out-of-area £181 m, prepayment meter differentials £96 m, higher prices for customers not on the gas grid £55 m, total £332 m, plus another £200 m to come from further reducing off-gas-grid differentials. “… any possible adverse impact on competition and innovation should be of secondary concern particularly at this time of high energy prices” and “the current duties of Ofgem should be changed to ensure that there is a stronger focus on the needs of vulnerable consumers, until such time as fuel poverty has been eradicated in Britain.” (EAS 2009a). She argued that constraints on unfair differentials were an ineffective way of assisting vulnerable households: “As Ofgem points out, ‘the majority of vulnerable groups are not prepayment meter users’ (Probe para 5.2): this majority would pay higher prices as a result of restricting differentials between prepayment and other means, because other tariffs would rise”. Ofgem took into account not only its principle objective – to protect the interests of customers wherever appropriate by promoting effective competition – but also its other statutory duties. These included contributing to the aims of sustainable development, which principles the Government had said included “ensuring a strong, healthy and just society”; having regard to the interests of vulnerable customers; and having regard to the social and environmental guidance issued by the Secretary of State, which included achievement of the Government’s fuel poverty targets in respect of vulnerable consumers. (Ofgem 2009d, paras 2.6–2.7). “5.4 Price discrimination can only occur if … firms … have an element of market power” and “5.8. All forms of price discrimination allow suppliers to charge some price above marginal cost and therefore make profits in excess of perfectly competitive levels.” (Ofgem 2009d) This seems to assume a market with no economies of scale or overhead costs. For explanations why competition is consistent with competition, and indeed can force firms to price discriminate, see Brennan (1990, p 144), Cooper et al. (2005), and Baumol (2006, pp 2–3). For a fuller and more recent explanation of how price discrimination is the norm in many competitive markets, see Simshauser (2018). “The impact assessment recognises potential dangers to competition, but continues to underestimate them. Even in the short term, it is unlikely that any consumers will benefit from these measures. …While the differentials in prices will disappear … the removal of competitive pressure is likely to maintain prices at a higher level than they would otherwise have reached, with detrimental effects on all consumers, including those defined as vulnerable, in both the short and long term.” Waddams (2009b). “I believe that the proposals are likely to be detrimental to consumers and therefore bad policy. Banning price discrimination stops important kinds of price competition—for example, regional incumbents challenging one another—and so perversely can blunt competition and help firms sustain higher prices to consumers in general. I urge Ofgem not to score this own goal.” (Vickers 2009). “There is almost a consensus among economists familiar with competition and energy market issues that, on the basis of best available knowledge, Ofgem’s proposals to “address undue discrimination” can be expected to have harmful consequences for consumers and for competition.” Yarrow (2009). “2.28. As part of this [June 2007] review, we analysed the relationship between wholesale and retail prices and found that all consumers had been protected from the full impact of rising wholesale prices. On average, suppliers had shielded customers from around £100 of the wholesale price increases over the previous four years.” (Ofgem 2008). They suggest that if firms are prevented from discriminating, they will retrench to the markets where they make the most money. If these are the same markets for all firms—as with customers paying by direct debit rather than other methods—then there will be increased competition and prices could fall. But if these are different markets for different firms—as with in-area versus out-of-area customers for the five former incumbent electricity companies—then there will be less competition and prices will rise. (The impact of the former gas incumbent was unclear). For example, the number of electricity plus gas customer transfers between suppliers, which had increased from 1.7 m in first quarter 2003 to 2.6 m in third quarter 2008, decreased to 1.1 m in third quarter 2013, less than half the 2008 peak. (DECC 2014). “SSE told us that some [tariff balancing] changes were made in 2008 due to the Probe as SSE's gas business was loss-making at that time and Ofgem’s changes introduced an effective prohibition on cross-subsidisation.” (Ofgem 2014, para 6.27). After privatisation, transmission and distribution networks recovered their allowed revenues from retail suppliers in proportion to their number of customers. (Until recently there was no smart/hourly metering and even now generation costs are still allocated on the basis of a single residential load profile.) There was no requirement on suppliers to charge customers on any particular basis. After the emergence of retail competition in the UK, most large suppliers offered customers the option of a tariff with zero standing charge. The unit rate for such tariffs was typically higher for the first block of units consumed and lower for subsequent units (called a declining block tariff in the US). One supplier also offered a tariff with the opposite characteristic, viz. a zero unit charge (see below). This was, incidentally, a policy that Ofgem had considered and rejected just two years earlier. (Ofgem 2009b, paras 3.14–3.44). In contrast, one new supplier, Ovo, argued that Ofgem should go further and limit the differential between each supplier’s median and lowest tariff, “to stop the ‘Big 6’ energy companies from simply under-pricing new entrants”. “We will keep open the option of further interventions to protect consumers, particularly vulnerable consumers, including potentially a ‘backstop’ tariff.” “If we believe that certain customers, such as vulnerable customers, may require additional support at any point, we will consider what further measures might be needed in liaison with the government.” (Ofgem 2011c, pp 1–4). “There is a danger, also evident in the non discrimination clause debate, of confusing conditions which would emerge from a static competitive equilibrium with those which are necessary for dynamic competition to develop. Ofgem‟s analysis and diagnosis suggests that we are far from a desirable competitive outcome at the moment, and so we need conditions that will encourage competition, not dampen it.” (p 4). Those suppliers whose monthly fixed charge was above Ofgem’s standard fixed charge would have it reduced, those whose fixed charge was below this level would have it increased. All suppliers’ tariffs would thus be cut or stretched to fit Ofgem’s Procrustean Bed. As noted earlier, the two fuels were natural gas and electric power, and the three payment methods were direct debit to a bank account, cash or cheque on receipt of bill, and prepayment via a top-up card. Of the customers that chose not to switch in 2011, 78% gave as their principal reason “I’m happy with my current supplier”. 22% said “Switching is a hassle”. None of them said that complexity of tariffs was a reason. (Littlechild 2012d, p 11). I referred to “… the idea of ‘fairness’ where it was felt to be wrong that vulnerable and less engaged customers did not obtain the same prices as less vulnerable or more engaged customers. But this posed a fundamental difficulty for the promotion of competition because, from this perspective, competition was not the solution to a problem but a problem in itself. In a competitive market innovation would continually create new types of tariffs, new pricing models, and new offers designed to attract different types of consumer. Naturally, the most engaged consumers would be the ones who responded to new offers first, and they would receive better deals, including better prices, than less engaged consumers. So Ofgem’s policy was not leading to a restriction of competition as an unintended consequence, it was of the essence of that [Ofgem] policy that it should restrict competition in order to eliminate differences in prices.” (Littlechild 2014c, para 12). For example, wind energy supplier Good Energy was allowed to give a discount of up to £50 per year to local residents if wind output was greater than expected. Ovo was allowed to give customers a discount on payments made in advance. Pure Planet was allowed to offer a variable tariff where the unit rate tracked cost with less than 30 days notice. In a YouGov Cambridge online survey undertaken in January 2014, 84% of respondents said that they would support the energy regulator making energy companies simplify their tariffs, and only 2% were opposed. But only half (51%) wanted a limit on the number of different tariffs that a supplier could offer. Less than a fifth (19%) wanted to stop discounts expressed in percentages rather than pounds. Least popular of all (3%) was stopping discounts for prompt payment of bills. When asked whether they would still support simpler tariffs if it meant that tariffs might be slightly higher or if fewer discounts were available, respondents’ support for simpler tariffs fell from 84 to 26% and the proportion opposing them increased from 2% to 39%. Thus, having considered the possible adverse consequences, a greater proportion of respondents opposed simple tariffs than supported them. (Littlechild 2014b, s 3.6). “… this idea of the CMA sitting in judgement was attractive to a number of stakeholders, including on one hand many of the political classes who felt that it might show that Ofgem had been too “soft” with the energy companies, and on the other much of the academic and regulatory community who thought it might indicate that the regulator had made negative interventions that had harmed competition and consumer welfare.” (Nolan 2017). These features were weak competition due to market segmentation and tacit coordination, barriers to entry and expansion, vertical integration and weak customer pressure. The CMA also has a duty to have regard to the statutory duties of the relevant sector regulators, so to this extent competition is not the only consideration to which it must have regard. “By 2008 Great Britain had one of the most competitive residential electricity markets in the world, with high levels of consumer engagement and competitive retail margins. However rising electricity prices, driven by international gas price rises, have led to a series of increasingly misguided regulatory interventions which are reducing competition, driving up prices, and undermining political support for a competitive residential energy market.” Abstract of Pollitt and Haney (2014) See also Deller and Waddams Price (2018 ch 2). Thus, “bills are being driven up by rising global energy costs (oil, coal and gas), the cost of curbing climate change, increased investment in the energy networks to ensure safe and reliable energy suppliers for customers and a lack of market liberalisation in the rest of Europe.” Ofgem press release 16 January 2008. “115. … The Review considers that the broad range of expertise that should ideally be represented among the GEMA non-executives are: • economic regulation; • corporate finance; • social and consumer issues; • the energy industry; and • environment/sustainable development…. 117. In terms of balance of expertise, since 2003 most of these areas have been represented by at least one board member, and typically represented by two. The notable exceptions include 2004–8 when there was no non-executive member with a background in social and consumer issues, nor since 2008 has there been a member with a background primarily in economic regulation. The board would be strengthened further with the recruitment of a nonexecutive with specific economic regulation expertise during the next round of appointments.” (DECC 2011). The change in regulatory stance was quite dramatic. Ofgem (2011a, para 2.17) explained that the increase in number of tariffs available had been driven by the increase in the number of fixed tariff and other options available. These “other tariff options include features such as air miles, retail rewards, financial offers, capped prices, energy credits, a tracker energy price or smart metering options”. (fn 27) Previously, Ofgem considered these to be an indication of competition, innovation and suppliers seeking to discover and meet customer preferences. Now, it categorised them as a deterioration in competition. The Electricity Act 1989 also contained a duty to take into account, in particular, the interests of those who are disabled or of pensionable age, but only in respect of the quality of electricity supply. The Utilities Act 2000 replaced Ofgas and Offer by the Gas and Electricity Market Authority (GEMA), the governing body of Ofgem. It modified the original regulatory duty to promote competition to read “to protect the interests of consumers in relation to electricity conveyed by distribution systems, wherever appropriate by promoting effective competition” (italics added). In doing this GEMA should have regard to the interests of individuals who are disabled or chronically sick, of pensionable age, with low incomes, or residing in rural areas. It specified that “consumers” should include both existing and future consumers. It provided that “The Secretary of State shall from time to time issue guidance about the making by GEMA of a contribution towards the attainment of any social or environmental policies set out or referred to in the guidance.” Later, the Energy Act 2008 added to GEMA’s duties “the need to contribute to the achievement of sustainable development”. On 25 September 2010 former energy minister Ed Miliband was elected leader of the Labour party. In September 2013 he announced that, if elected in 2015, he would impose an energy price freeze for 20 months in order to “reset” the energy market which he described as “broken”. He subsequently proposed “a tough new energy watchdog with power to cut unfair prices”. In December 2013 these proposals became part of Labour’s ten-point plan to “reset the energy market”. The plan also included simpler tariffs with a uniform daily standing charge set by the regulator. Powering Britain: One Nation Labour’s plans to reset the energy market, Labour Party Green Paper, 2 December 2013. CMA (2016, para 14.44) citing particularly Waddams Price and Zhu (2016). The CMA “considered conducting an econometric analysis” of prices before and after the imposition of SLC 25A but decided against this “due to the lack of a suitable counterfactual with which to compare domestic energy prices.” (fn 122). “There are few, if any, signs that customer engagement is improving materially, either in terms of direct customer activity (eg switching, shopping around) or their experience and perception (eg views on tariff complexity). Those who were disengaged before the RMR appear to remain so. Further we have doubts that the four-tariff rule will have a benefit on engagement in the long term, since given the number of suppliers, any customer who wishes to find the cheapest tariff on the market will in practice need to use a TPI, with or without the four-tariff rule.” (CMA 2016 Summary p 172). In order to mitigate any unintended consequences arising from a potentially significant increase in the number of tariffs on offer, the CMA also recommended that Ofgem introduce an additional standard of conduct that would require suppliers to have regard in the design of tariffs to the ease with which customers can compare value-for-money with other tariffs they offer. The (current) Chair of Ofgem stated: “Looking back on why the decision [on the non-discrimination condition] was made, it was clearly driven more by consumer protection duties in the knowledge and acceptance that it might have problems for competition. The context at the time was one in which the Government was busy preparing to take powers to do it themselves if Ofgem did not do it, …” (para 18.13) However, “In contrast George Yarrow … told us that the board neither considered the impact on competition nor the potential trade-offs between competition and consumer protection. He told us that he believed that the board acted in this way because it did not feel that either competition or consumer protection issues were at stake.” (para 18.14). “18.33 We note that Ofgem’s decisions to implement both SLC 25A and the RMR rules—neither of which we consider to have been in customers’ interests—were taken against a backdrop of DECC taking powers—or stating its readiness to take powers—to implement changes in primary legislation in the event that Ofgem did not act. … 18.35 We do not know how material this context was in influencing Ofgem, but it is possible that institutional pressure from DECC was one of the factors behind one or both of these decisions. Within this context, the coincidence of DECC and Ofgem’s actions is likely to create the perception of a lack of independence on the part of Ofgem. 18.36 In our view, it is essential to the well-functioning of the regulatory framework that Ofgem be an effective, independent and authoritative regulator—and be generally perceived as being so.”. DECC should “set up a clear and established process for Ofgem to comment publicly, by publishing opinions, on all draft legislation and policy proposals which are relevant to Ofgem’s statutory objectives and which are likely to have a material impact on the GB energy markets”. DECC and Ofgem should “publish detailed joint statements concerning proposed DECC policy objectives that are likely to necessitate parallel, or consequential, Ofgem interventions, setting out (i) an action plan for the regulatory interventions needed and responsibility for these, (ii) an estimated timetable, and (iii) where appropriate, a list of relevant considerations in designing the policy.” (para 20.30). This “will provide analysis regarding issues such as (i) the evolution of energy prices and bills over time, (ii) the profitability of key players in the markets (eg the Six Large Energy Firms), (iii) the social costs and benefits of policies, (iv) the impact of initiatives relating to decarbonisation and security of supply, (v) the trilemma trade-offs, and (vi) the trends for the forthcoming year;” (para 20.30). Specifically, they should “report their generation and retail supply activities on market rather than divisional lines; report a balance sheet as well as profit and loss account separately for their generation and retail supply activities; disaggregate their wholesale energy costs for retail supply between a standardised purchase opportunity cost and residual elements; and report prior year figures prepared on the same basis;” (para 20.30). E.g. Why are energy prices rising? Ofgem Factsheet 108, 14 Oct 2011. In the months after the CMA Final Report, newspapers reported that the Government was again putting pressure on Ofgem, in this case to implement a widespread tariff cap. Ofgem declined, arguing that “interventions involving ‘significant distributional effects’ are a matter for Parliament” (Deller and Waddams Price 2018, p 35). The Government had to enact a law through Parliament to require Ofgem to impose the cap. But whether this indicates a significant change in the Government/Ofgem relationship is again questionable. I am grateful to three referees and to Eileen Marshall, Michael Pollitt, Catherine Waddams and other colleagues for helpful comments and suggestions on this and related papers over many years. Beesley, M., & Littlechild, S. (1983). Privatisation and monopoly power. unpublished paper for H M Treasury, November 1983 [Will be available at www.eprg.group.cam.ac.uk/tag/s-littlechild/]. CMA. (2014). Energy market investigation, statement of issues, 24 July. (CMA publications and submissions to CMA are available at www.gov.uk/cma-cases/energy-market-investigation). Accessed 27 Mar 2019. Joskow, P. (2000). Why do we need electricity retailers? Or Can you get it cheaper wholesale?, February 13 at https://economics.mit.edu/files/1127. Littlechild, S. (2014b). Promoting or restricting competition? Regulation of the UK retail residential energy market since 2008, Initial submission to CMA, 15 August. (Shorter version of 20 August available as EPRG Working Paper 1415 at https://www.eprg.group.cam.ac.uk/wp-content/uploads/2014/09/1415-PDF1.pdf). Accessed 27 Mar 2019. Littlechild, S. (2018c). Retail Lessons for New Zealand from UK regulation and the CMA’s Energy Market Investigation, including a critique of Professor Cave’s analysis”, paper submitted by Meridian Energy to the New Zealand Electricity Price Review, 8 October, available at https://www.mbie.govt.nz/document-library/search?keywords=electricity+price+review+first+report+meridian+energy&df=21%2F11%2F2018&dt=23%2F11%2F2018&submit=Search&type%5B66%5D=66&sort=. Accessed 27 Mar 2019. Ofgem. (2002). Review of domestic gas and electricity competition and supply price regulation: Conclusions and final proposals, February. (Ofgem documents and submissions to Ofgem consultations are accessible at www.ofgem.gov.uk/publications-library).